My first ever time in Thailand, and I’ve literally taken to it like a duck to water! When I arrived in Thailand just 4 days ago, I decided to set myself a templeseeker challenge – #30Temples30Days. 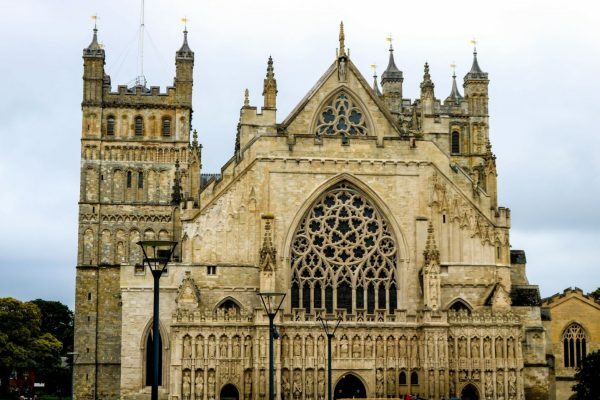 That’s a temple a day for the whole month of my visa! The temples of Chiang Rai seemed the perfect place to start. I saw the Chiang Rai temples by four different methods on each of my four days – Tuk-Tuk, cycling, hiring a private driver and walking. How long to Spend in Chiang Rai? If you are wondering how long to spend in Chiang Rai, I would recommend 3-4 days. I spent 6 days there, but I need more time than most people to see more temples and do my blog write-ups. Chiang Rai is quite a sleepy town, and you can do the main sites in a few days including the White Temple, Baandam Museum (Black House) and Blue Temple plus another few museums and temples. Most of the city closes around 11pm, it’s not as happening as Chiang Mai! 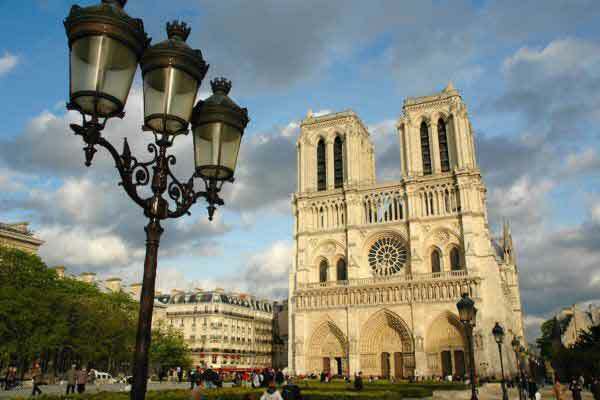 This will take at least two days of sight seeing to fully appreciate them and explore the museums. You will be pleased to know that I got straight to it by taking an internal flight direct from Bangkok to Chiang Rai, and oh, how this place is spoiling me! On my first day, I went straight to the Blue Temple and Wat Huai Pla Kang by tut-tuk on the evening. The Blue temple was the most beautiful thing I’ve ever seen in my whole life, and the Big Buddha of Wat Hyua Pla Kang was the biggest Buddha statue (actually a Goddess!) that I’ve ever seen. All in all, a successful first day! 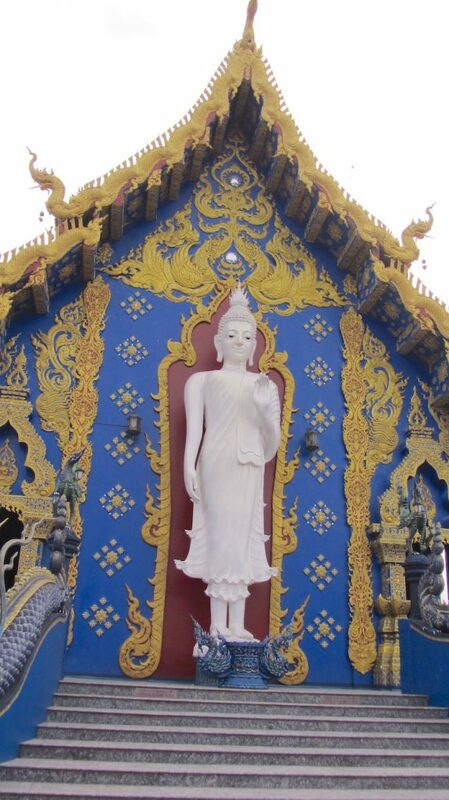 Temple #1 (above): The porcelain Buddha inside the Blue Temple, Chiang Rai. Wat Huai Pla Kang is a temple complex containing what is mistakenly referred to as the Chiang Rai ‘Big Buddha’ because it is actually a representation of Guan Yin, the Goddess of Mercy. The complex also has a 9-tier pagoda with a wooden Guan Yin inside and a beautiful white temple guarded by white nagas (dragons). On my second day, my Thai ‘aunty’ at the hostel offered me a free bike so that I could see more temples. I headed straight down Rattenakheat Road and came to a temple on the left that wasn’t even on my map – the beautiful Wat Klang Wiang (AKA The fire temple!). 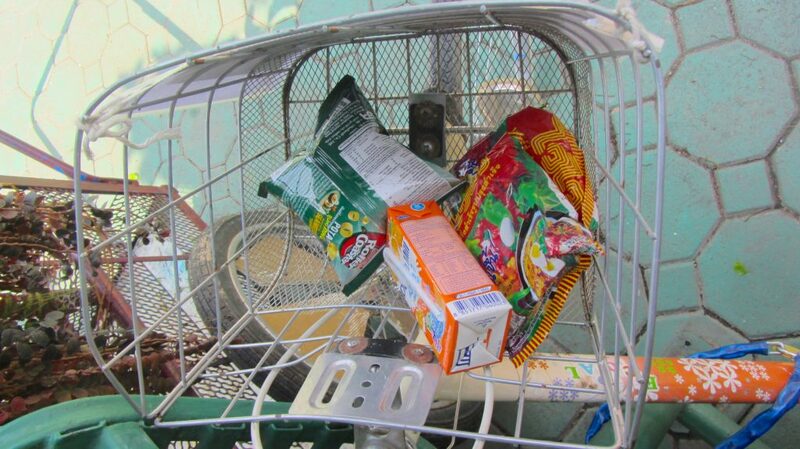 When I came out of Wat Klang Wiang to get my bike, I found that my basket had been filled with snacks and goodies by the Buddhist monks! Orange juice, crisps and noodles to help me on my journey! Chiang Rai is quite easy to cycle around – driving is on the left like it is at home (UK), which made it much easy, and its a small city so not the horrendous traffic like in Bangkok. The only thing that I had to get used to was getting in front of cars to make a right turn. What’s great about Thailand is that you often stumble on small temples where you don’t expect them. 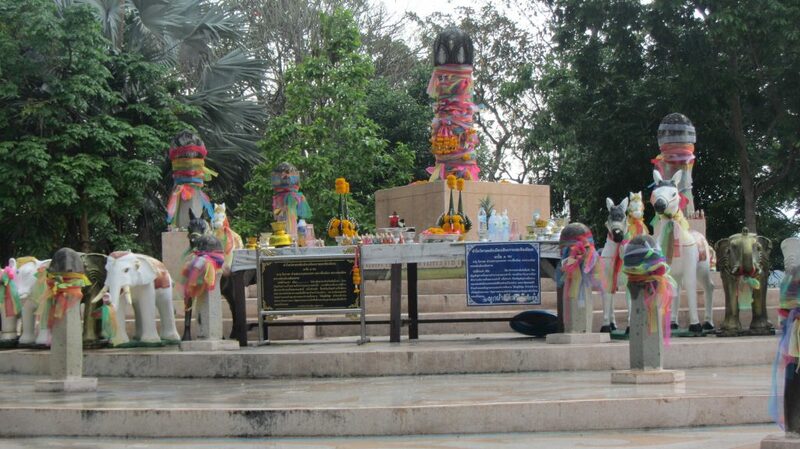 I am starting to navigate my way around Chiang Rai by looking for the Stupas! I then asked someone at the 7-11 how to get to Wat Phra Keow, and was directed by an old Thai lady with the cashier as my translator! By this point, I was already getting a bit of a reputation for myself. This guy came up to me and said ‘Are you the girl going around all the temples on your bike?’ Oh yes! 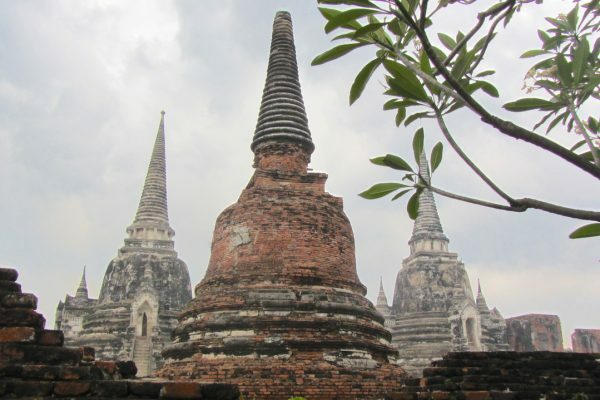 Wat Phra Kaew is quite a large temple complex with two shrines and a museum. 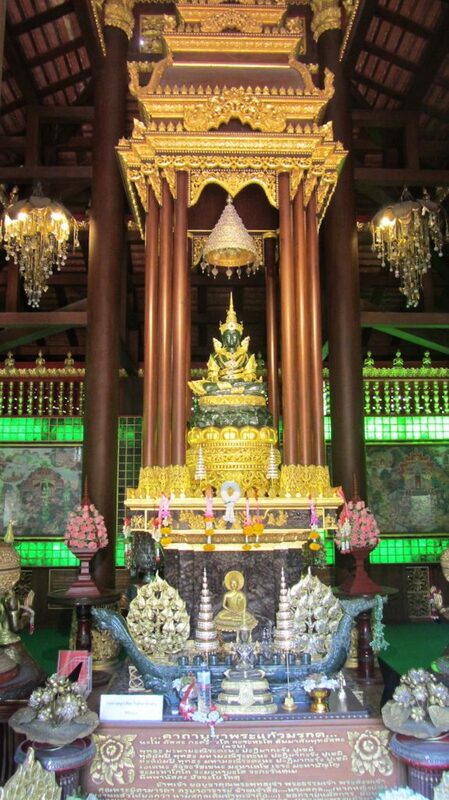 One shrine contains a 600 year old Bronze Buddha and the other contained Jade Buddha, a replica of the Emerald Buddha that was once found here but now resides in Bangkok. I then proceeded together lost looking for Doi Chom Tong – I missed it because the sign post said a longer and more elaborate name and I didn’t realise to was the same thing! Also, it was up hill, so I had to get off the bike a push a little. A Thai fruit seller shouted me and pointed to the sky – rain was coming! I quickly pulled out my rain coat and put it on – fruit seller smiled and nodded. I can’t believe how helpful and friendly the Thai people are. 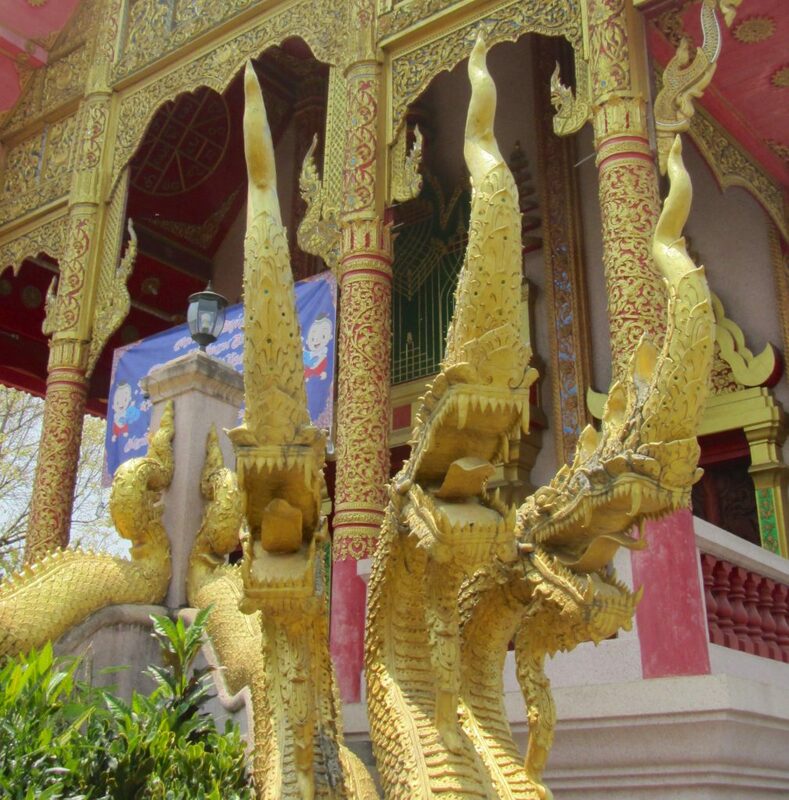 Phrathat Doi Chom Tong (not to be confused with Doi Tung in the mountains further North) is a beautiful gold and red temple guarded by golden nagas, with turquoise interior pillars and a golden Buddha. Many dogs live at the temple and lie on the temple steps. It’s worth a visit also to see the city pillar (called a Lan Muang in Thai) – a pillar constructed in 1988 surrounded by 108 smaller ‘phallic’ pillars, which traditionally marked the centre of town (although this is now likely to be Wat Klang Wiang). 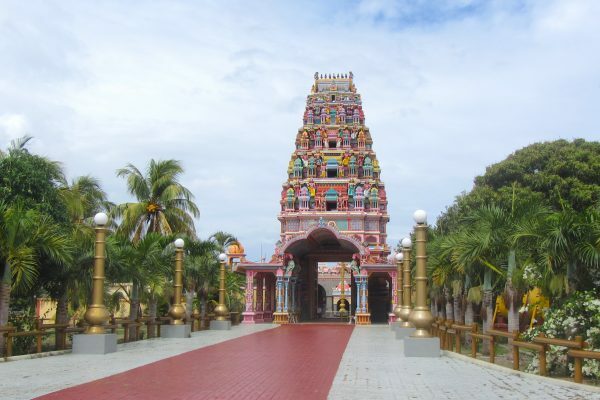 A shrine is in the centre near the main pillar that was beautifully decorated with flowers and surrounded by animals such as elephants and horses. After a couple of days travelling alone, I had the privilege of spending time with my blogger friend Elly Vos from Hawaii. We hired a private driver for the day for 700 Baht, which worked out at 350 each. He didn’t speak much English, but he did manage to get us to where we wanted to go! The main sites from the third day were the White temple (our first attempt got rained off pretty bad!) and the Baandam Museum (Black House Chiang Rai). 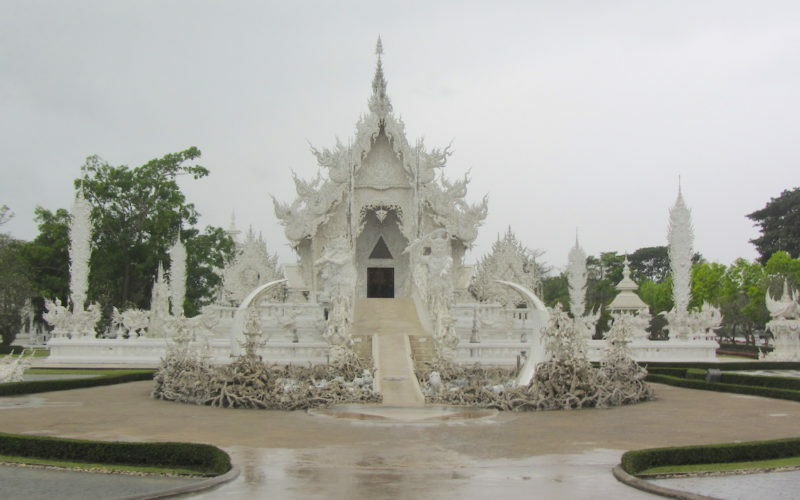 The white temple is a phenomenal and artistic temple with a depiction of hell to walk through before you enter the temple. As you are supposed to move towards enlightenment to escape the endless cycle of samsara (birth, death and rebirth), you should only go forward through the temple, without turning back. So get your pictures the first time around! Inside, the art work is bizarre and includes minions, Spiderman and Aliens! 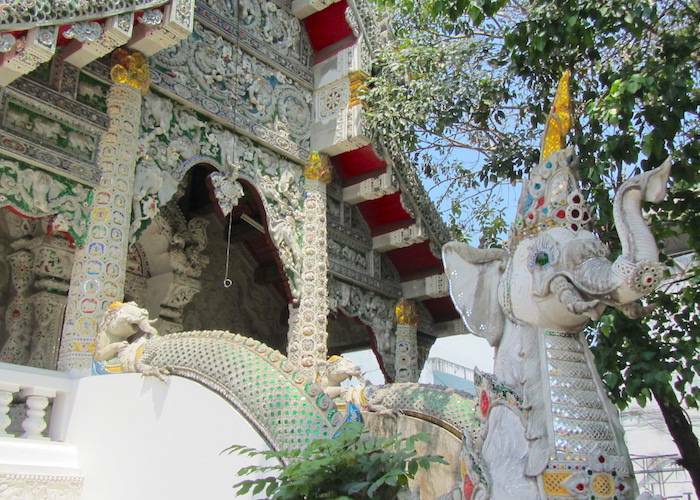 It’s one of the most intricate and bizarre temples that I have seen so far on my temple seeking journey. 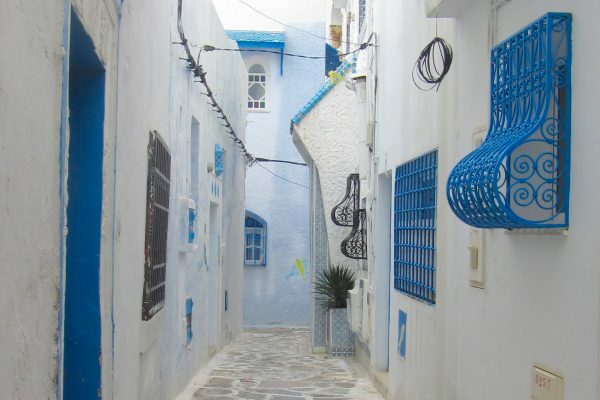 Our driver took us back to the Blue Temple (yes, I had to have a second visit!) and then on to the Baandam Museum. The Baandam Museum is a complex of temple-like structures (it’s not a temple itself – more a museum, but there is a shrine to Buddha at the entrance) housing the bizarre collections of art of its creator Thawan Duchanee. The art includes horns, crocodile skins, bones and even phallic objects! Temple #9 Black House Chiang Rai, otherwise known as the Bandaam Museum. The great news is that many temples in Chiang Rai are walkable as the main centre is rather small. I loved Chiang Rai so much that I extended by just 2 more nights to see a few local temples by foot. Wat Jedyod was quite close to where I stayed at Connect Hostel on Soi Phahon Yothin Road. 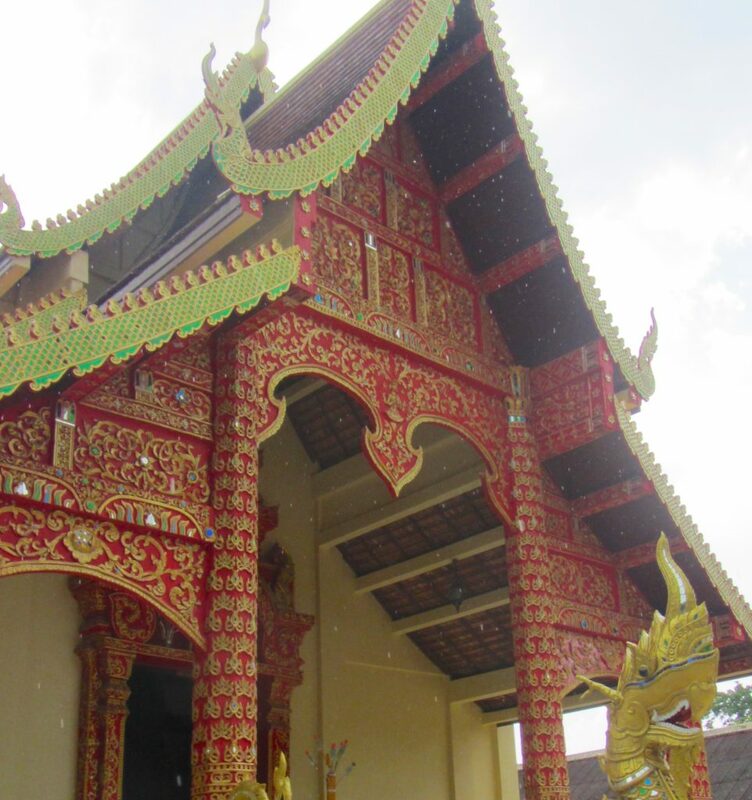 It was a beautiful temple built in 1844 by a Buddhist Monk called Brakrubakuntha Kunthawungso. 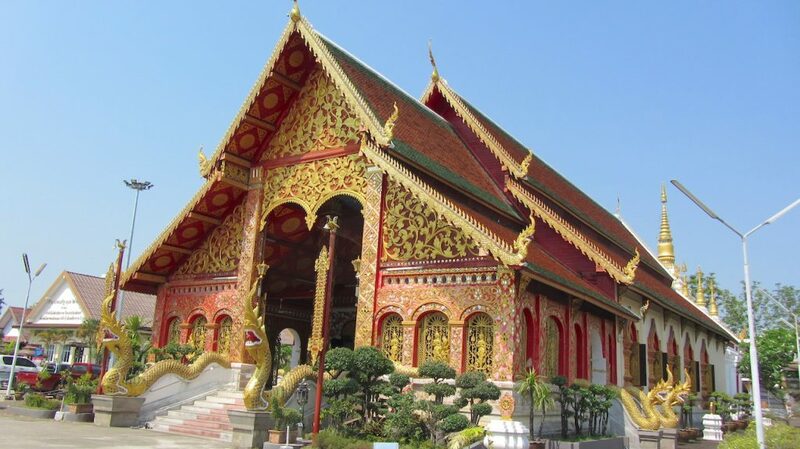 This elaborate red and gold temple contains some amazing art work of the life of the Buddha. I’m calling this the Elephant Temple, it’s easy to see why! 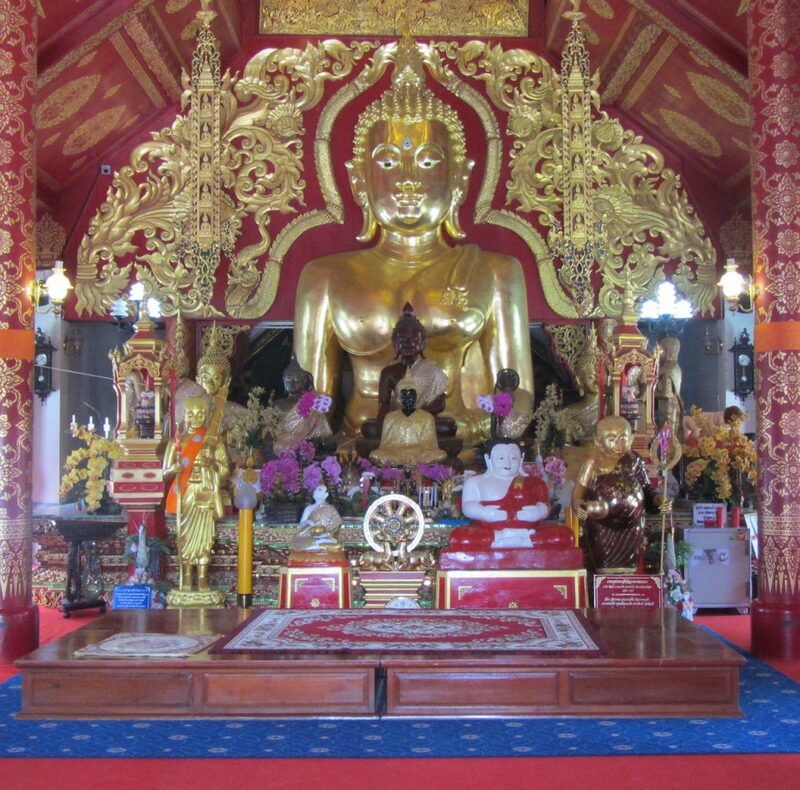 The Wooden Viharn (first building straight ahead when you walk in) contains a 400 year old Buddha statue. 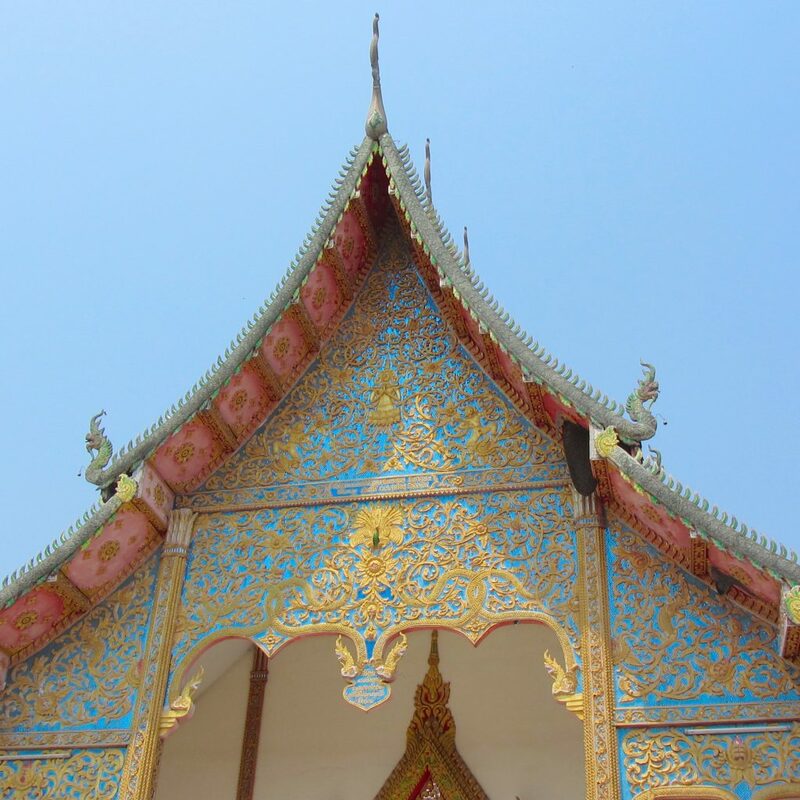 Wat Si Sai Mun is over 400 years old and worth visiting particularly for its turquoise blue and gold colour. This was my final temple before leaving the temples of Chiang Rai. So there you have it, I have exceeded 10 temples in Chiang Rai in less than a week! I’m gonna smash this challenge! If you prefer to have guided tours, or you have a limited amount of time in Chiang Rai, check out the best Chiang Rai tours. 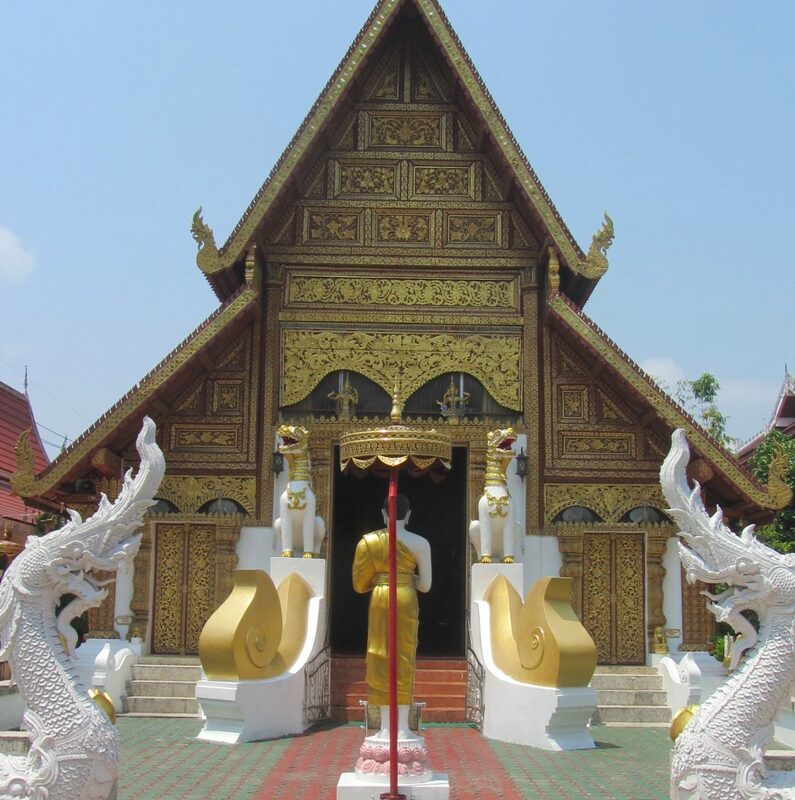 If you enjoyed my Chiang Rai Temples, you might also like to read about Chiang Mai temples as well.